The versatile outputs are 4, 7, 10, 12, and 14.4kW. It can be installed as an open vented system or a conventional sealed system comprising of circulating pump and sealed system kit (also available from EHC). 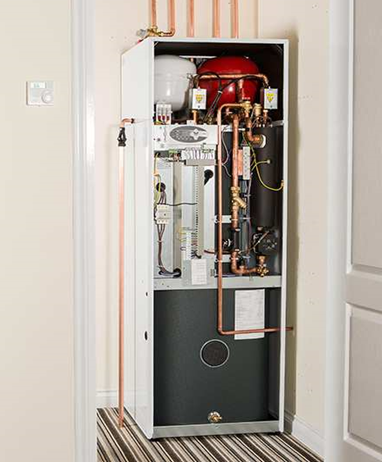 A typical heating installation would comprise of the Slim Jim Boiler complete with standard wet system radiators, thermostatic valves, programmer and room thermostat. The boiler temperature range can be set between 30 degrees and 80 degrees centigrade which also makes it a suitable choice for underfloor heating applications. The Slim Jim has a user-friendly Front Control Panel incorporating heat mode and fault finding indicators, an on/off switch and easy-to-use temperature control setting. Safety is of paramount importance to EHC and as such our Slim Jim boiler has been designed to include a unique high current safety cut-out device to protect the boiler. It is a fully packaged unit that is housed in an elegant enclosure which is compact in size (height 1745mm, depth 628, width 581mm) and has been designed to fit into a standard domestic airing cupboard. To maximise space and minimise installation the unit has been designed with top entry pipework. This makes it ideal for a range of properties as there are no flue requirements. It is also supplied with an external Tundish and Domestic Hot Water Control Valve and a fully programmable Twin Channel Controller and Room Thermostat to provide full control of both the Central Heating and Domestic Hot Water. The �S� Plan configuration enables you to select Heating only, Hot Water only or both at the same time.� As the boiler is also heating the Indirect cylinder, the re-heat times for the Hot Water is superior to that of a Direct Cylinder comprising of an Immersion Heater only. the operating temperature of the boiler to be adjusted from 40 degrees through to a maximum 85 degrees. The Comet boiler has been engineered to include the pump, auto-air vent, automatic bypass and expansion vessel within the compact casing. A magnetic filter is also pre-plumbed within the unit for added protection which will enhance the life of the boiler. 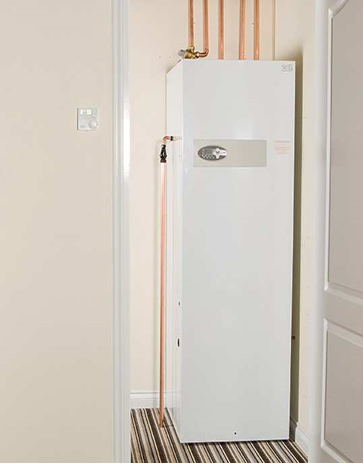 With the sleek design and integral pipework the boiler can be discreetly located in either a cupboard or wall mounted e.g. in the kitchen area. To ensure maximum efficiency, all Comet boilers incorporate six stage heating using a single stainless steel heat exchanger. With this unique facility the boiler will modulate so that both electricity consumption and running costs are controlled through all heating cycles. The easy-to-use control panel allows both the installer and home owner to identify the operating temperatures on the flow and return, system flow rate and kW output of the boiler at any given time. 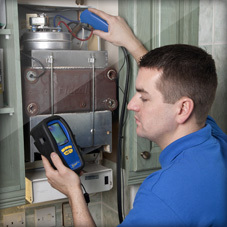 The digital pressure sensor within the unit allows you to take an accurate reading of the system pressure at all times. The control panel also enables the installer to utilise the inbuilt self diagnostic feature during installation or routine maintenance. The operating temperature of the boiler can be adjusted using the control panel and range from 40 degrees through to a maximum 85 degrees. Our single phase boiler outputs are 6kW, 9kW and I2kW. 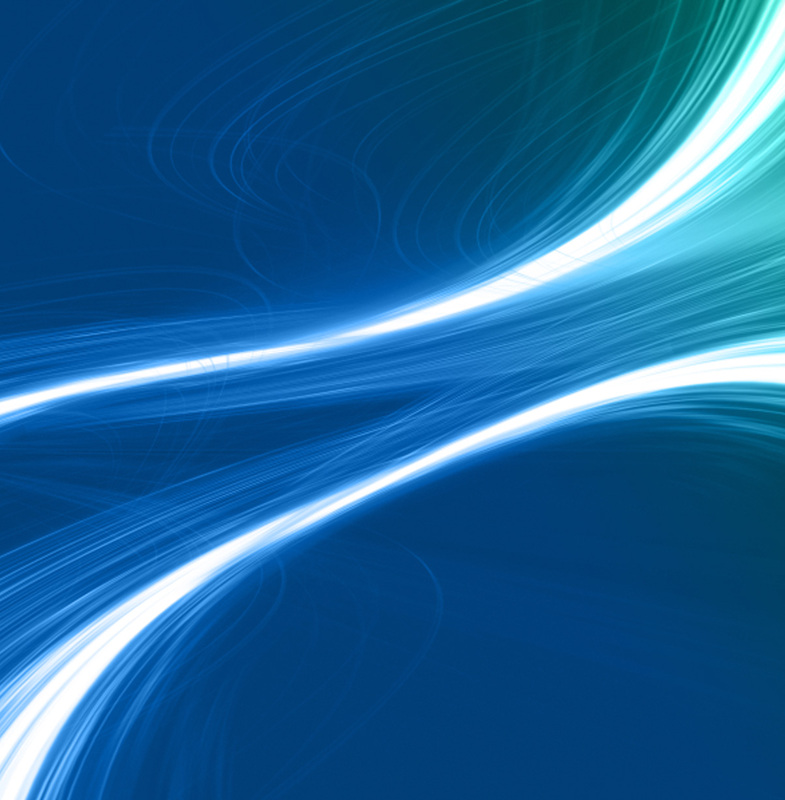 The I4.4kW is available for properties that require a higher output. 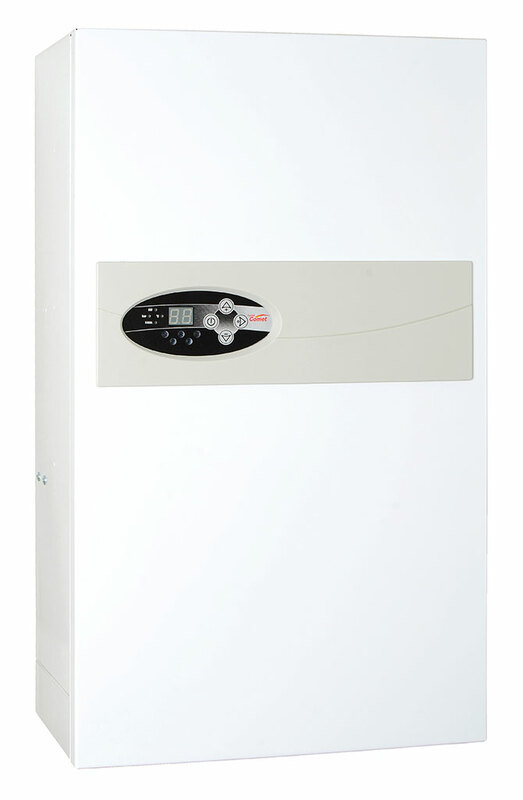 For multiple boiler installations it is also possible to install the boiler in series to suit non domestic situations. In light commercial properties with a 3-Phase electricity supply, we supply a 24kW output boiler within the Comet range. 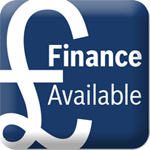 Due to the proven reliability of our products we have no hesitation in offering a 2 year warranty for both Parts and Labour.